I finally found the link to an interesting article by Jeffrey Young from the Chronicle of Higher Education that explores what Wolfram Alpha may mean to the way we teach: http://chronicle.com/article/A-Calculating-Web-Site-Coul/47316/. I love the quote: "It makes graphing calculators look like slide rules." Seriously though, W/A will change the way we teach mathematics. Speaking of the MathForum at Drexel, the MathEdCC (Math Education Community College) forum has had quite a discussion lately about math anxiety, what it is and isn't and what, if anything, we can do to ameliorate it. There have also been a few posts so far about Wolfram Alpha (http://www.wolframalpha.com) and how to incorporate it into our teaching ("if" to incorporate is not an option since students will use it whether we want them to or not). If you have not seen what Wolfram Alpha can do, just check out some of the math examples at http://www.wolframalpha.com/examples/Math.html. I've added two new links to the right. "The Math Forum is a leading center for mathematics and mathematics education on the Internet. Operating under Drexel's School of Education, our mission is to provide resources, materials, activities, person-to-person interactions, and educational products and services that enrich and support teaching and learning in an increasingly technological world. 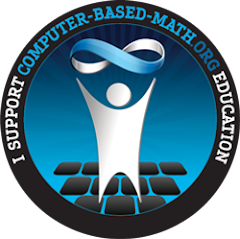 Our online community includes teachers, students, researchers, parents, educators, and citizens at all levels who have an interest in math and math education." The second URL is for the National Library of Virtual Manipulatives. These are java applets that illustrate interactively many basic arithmetic and mathematics concepts. While nominally aimed at K-12, many of the virtual manipulatives are suitable for the skills development course taught in community colleges (College Arithmetic through Intermediate Algebra). Since statistics is commonly taught now in high school, the library also contains several virtual manipulatives (I am particularly enamored of the Monty Hall Problem manipulative) suitable for a college Elementary Statistics course. The Library can be used freely through any Internet connection or can be downloaded for a nominal fee. If you teach any skills development courses or Elementary Statistics, you should be able to find something here to use in the classroom.